«I do try to maintain health» illustrated quotation. Drinking water, free quote pictures for Facebook, Twitter, LinkedIn, Reddit, Pinterest and other social networks. It’s funny, I do try to maintain health. 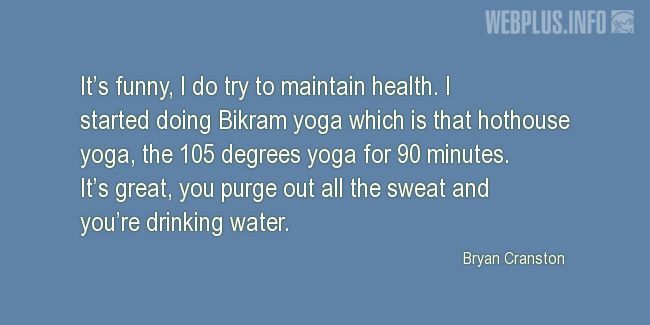 I started doing Bikram yoga which is that hothouse yoga, the 105 degrees yoga for 90 minutes. It’s great, you purge out all the sweat and you’re drinking water.